Patriot Memory has announced a new addition to their range of external hard drives this week, with the unveiling of their new Gauntlet 320 portable wireless hard disk drive. The new Gauntlet 320 hard drive from Patriot Memory is equipped with an internal lithium ion battery, that allows it to provide access for up to 5.5 hours of continuous media streaming, from its 320GB storage. Other features of the external hard drive include secured wireless connectivity via WEP / WPA-PSK / WPA2-PSK protocols, together with Internet passthrough that will allow up to 8 other devices to connect to the new Gauntlet 320 hard drive, simultaneously. 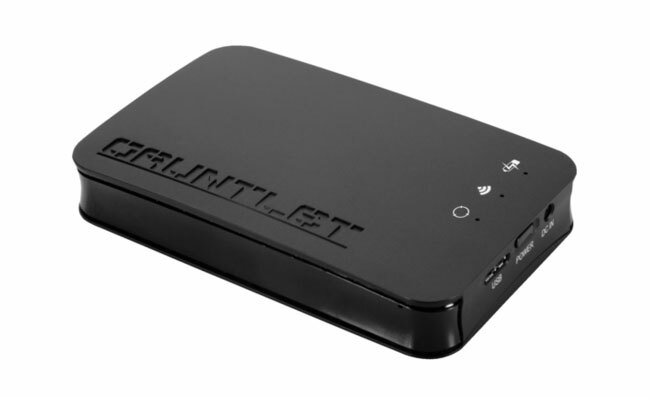 The new Gauntlet 320 portable wireless hard disk drive is now available to purchase for $159 in North America.